Finding your best electronic drum set can open up a whole new dimension to your drumming. An electronic drum kit isn’t just an acoustic kit turned quiet so you don’t freak out your neighbors. Instead, they can unleash your creativity. That’s why there even is a world championship in e-drumming. 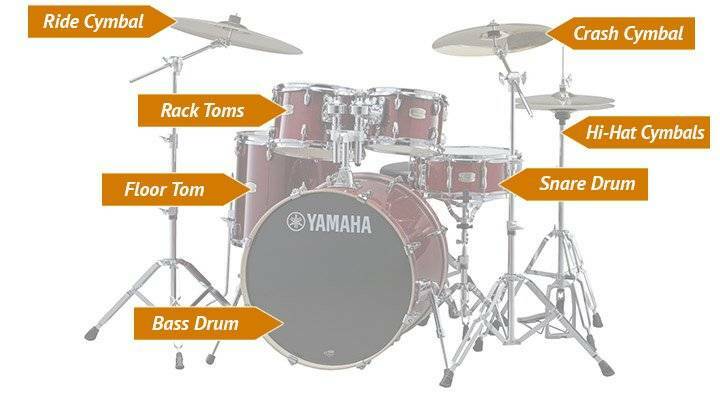 Yet, when I started looking for my first e-drum set, the amount of options totally confused me. I didn’t know whether I could use my double bass pedal with these kits – or whether I wanted cymbals with choke functionality or not. So I tried and tested – and wasted quited some money. But eventually I figured out which electronic drum set is best for which purpose. And in this review I’ll give you the essence of it! I’ll tell you which kit is best for beginners, for practicing, for the stage and for recording. Heck: I’ll even show you my best cheap electronic drum set for under $500! Apart from my 7 best electronic drum kits, I’ve reviewed 4 more e-drums which didn’t receive “best” awards. Please note that this doesn’t mean they are bad – but it does mean that they will be different in at least 1 respect and therefore not appeal to the majority of people. But then again, you might well not be among the majority. That’s why you’ll find an overview of all electronic drum kit reviews in the table of contents below. 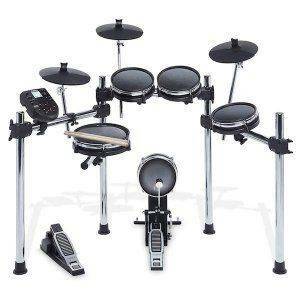 Finally, the electronic drum kit reviews are arranged by price – from most affordable to more expensive – for the fact that an e-drum kit is cheap doesn’t have to mean it’s bad. If you read on, you’ll find that sometimes it’s quite the contrary…. 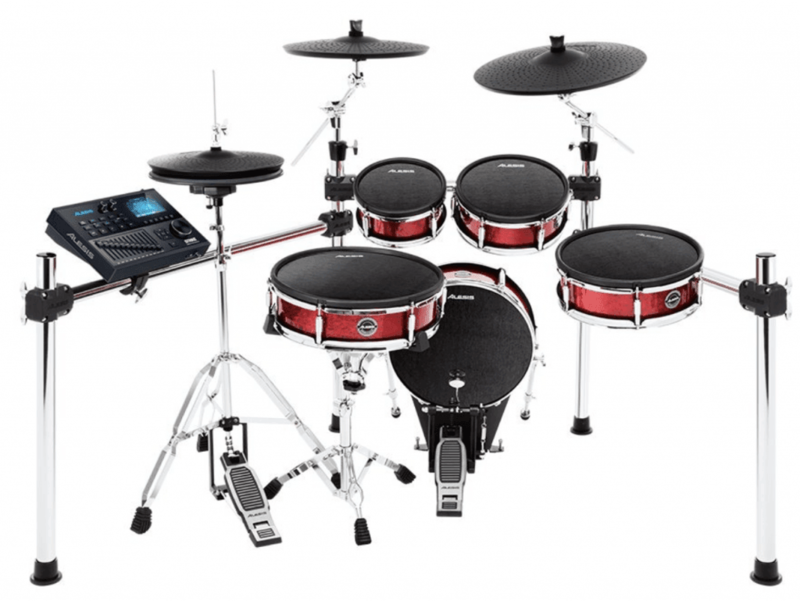 What Makes The Best Electronic Drum Set? In 2016, the Alesis Nitro has officially replaced the Alesis DM6 as my best electronic drum kit for beginners. It is now the best selling drum set on Amazon (1,000+ models / per month). And it deserves that title because it provides amazing value at an amazingly cheap price (it’s the only kit under 300 dollars in this review). So there you go: the Alesis Nitro is my ex-best electronic drum set for anyone buying their first ever e-drum kit. Questions about the Alesis Nitro? I’ll answer them in my Alesis Nitro review. The Alesis Nitro Mesh Kit is identical to the Alesis Nitro in module and hardware. Yet, as the name suggests, this one come with mesh heads instead of rubber-only pads – which is fairly incredible at this price point. And if you thought the mesh heads would be poor quality because of the low price – well, think again. I found them to have a good response (the module picking up even very light strokes) and rebound (bouncing the stick / your wrist back into its default position, so you save energy and power) – so playing the Alesis Nitro Mesh feels more like playing an acoustic drum kit. The second advantage of the mesh heads on the Alesis Nitro is that they are much quieter than rubber pads, so you’ll be able to play without your family or neighbors noticing. 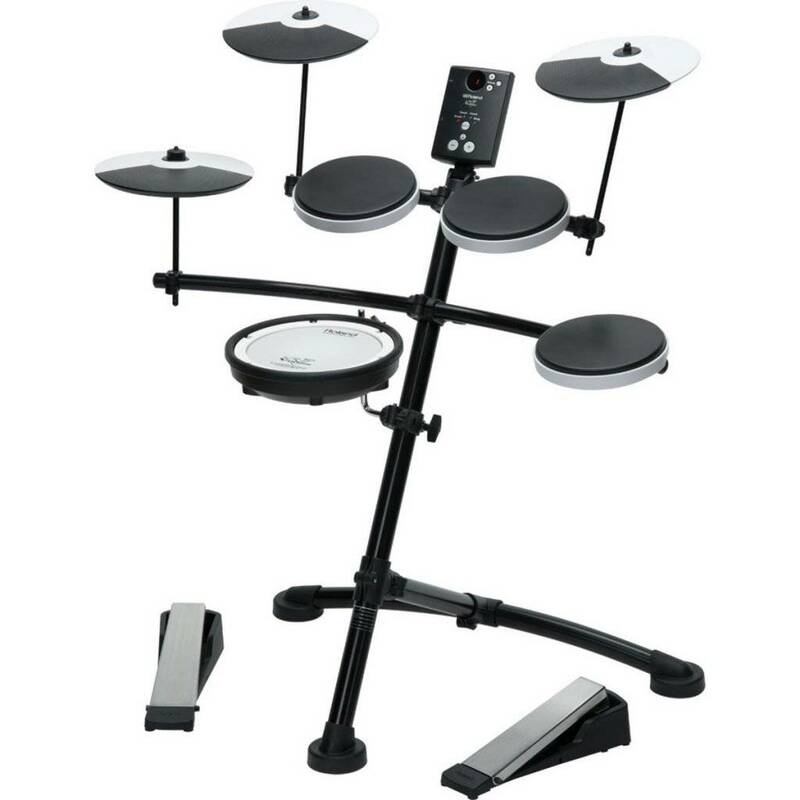 As such, the Alesis Nitro Mesh Kit has replaced its non-mesh version as the best beginner electronic drum kit on the market, because it’s really difficult to find anything wrong with this kit. The quality of the mesh pads and sounds within the module as well as the design of the Alesis Nitro Mesh result in visual appeal and a great drumming experience! The Alesis Forge is not available at the moment (or even permanently), but you can still get its brother version (with mesh heads) or an even cheaper alternative. …with its chrome rack and the more elaborate module, the Alesis Forge looks very professional. And studies have shown that your audiences will judge your more by your appearance (including gear) than by your skills. If you’d want to use this kit for practicing too, there’s also a quieter version of it. So the Alesis Forge is my ex-best electronic drum set for under $500! I provide all the details and latest deals for this kit in my full review. Just like with the Alesis Nitro and Alesis Nitro Mesh, the Alesis Surge is an upgrade of the Alesis Forge – with the important difference of mesh heads instead of rubber ones. That means that the all-mesh drum heads of the Alesis Surge are quiet enough to not annoy your family or neighbors while drumming. I found them to also feel great, which means that they threw my sticks back to me (rebound) after a stroke so I could play as fast as possible. And they also triggered the sound that the head is supposed to play without any noticeable time lapse. And the best thing is: the Alesis Surge isn’t even much more expensive than its rubber brother, the Alesis Nitro. Therefore, I now recommend the Alesis Surge as my best e-drum kit under 500 dollars. Find all my reasons for making that claim in my full Alesis Surge review. 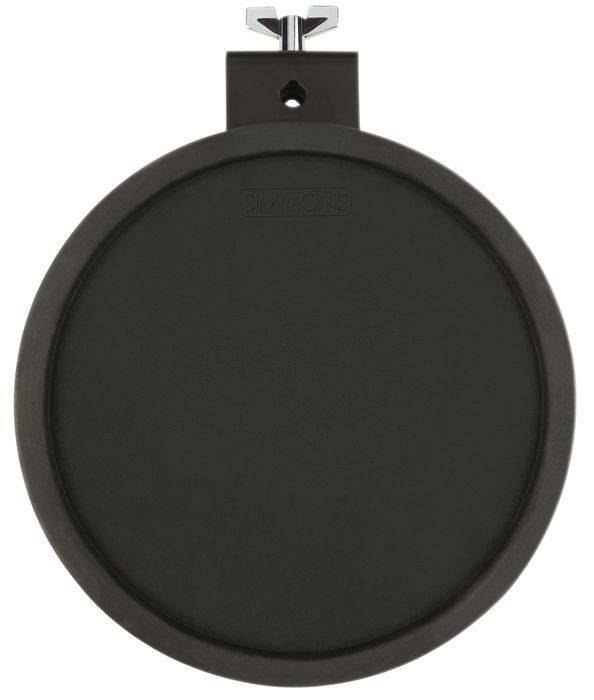 Beater and kick pad normally produce the loudest noise on an electric drum set. The DTX400K takes that out of the equation. (It still does produce the kind of noise I describe in the buyer’s guide below). There aren’t any sound waves close to the ground that could be easily transmitted into the rooms underneath you. On the downside, I wouldn’t recommend this as a first-time drum kit, because using this pedal will obviously feel different from using a standard bass drum pedal. This is okay for someone who has already learned to play on a normal pedal. But otherwise, I think it’s better to go standard first. plugging in your smartphone or mp3-player and jamming along to your favorite songs. 12 built-in training functions. A particularly useful one is called “Measure Break” and guides your playing through a click for a certain time and then pauses for exactly one bar. You play on and when the click comes back in, you’ll know whether you were keeping the time or not. So there it is: my best e-drum kit for neighbor- and family-friendly practice. Foot pedals are fine for beginner and intermediate players but might frustrate advanced players. The Roland TD-1KV will get you into e-drums at an economical price with a great return of features, reliability, and a high fun quotient. This kit has everything that any beginner or intermediate student could ever want and could be used in a pinch by professional players. It’s very well constructed with adjustability for players of various ages and sizes. The pads have a forgiving rebound that is realistic and easy on the hands. The Sound Module gives you 15 excellent drum sounds, options to record your playing, plus, you can even play along to on-board music as well as tunes from your external sound source. 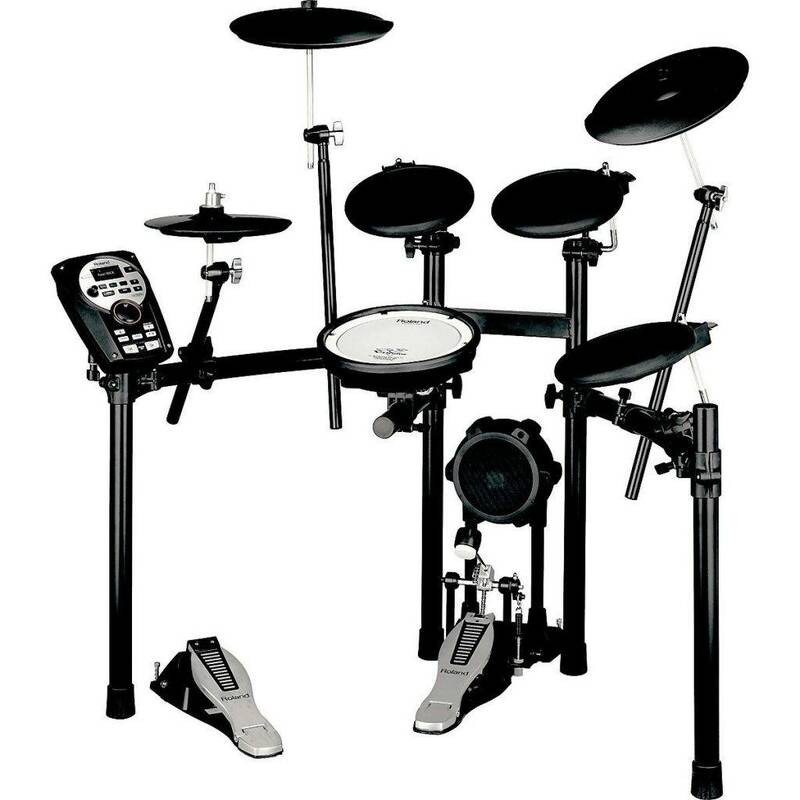 In addition, the Roland TD-1KV has a coach feature that will help you improve your playing. I’ve had the opportunity to experiment quite a bit with this little beauty and it is simple and durable as a stand-alone unit. But the real strength of the Roland TD-1K lies in its MIDI functionality. For once you connect the TD-1K to your computer (see below for how to do that), you can add drum plugins from your favorite drum software and make this kit sound any way you like. So the Roland TD-1K makes for my favorite cheap MIDI drums. You can find more reasons why the Roland TD-1KV is a great beginner option here. Yamaha is a widely recognized manufacturer of all kinds of quality musical instruments. And the Yamaha DTX450K is no exception. But the best thing about this set are the 12 built-in training functions. The most effective of those is called “RhythmGate” and trains you to keep the time. Only the much more expensive Roland TD 11K (below) can do this too. So the Yamaha DTX450K is my best e-kit for practicing! You can see the training functions in action, find out about the latest deal, or learn how the kit can be made to sound like from outer space in my in-depth Yamaha DTX450K review. It comes with a solid 4-post chrome rack and a bigger overall size. Since most other e-kits in this price range are smaller, the Alesis Command looks more like a traditional acoustic drum kit. And that’s what people in the audience are used to. Also, the tom pads – sized 9″, 9″ and 11″ – are larger than usual (8″ and 10″) so you have some margin for error in terms of your strokes. And on stage, when you’re playing and also performing, this can be very useful. Plus: one of the cymbal pads is chokeable. Finally, the 70 digital drum kits and 600 sounds programmed into the sound module provide you more than enough flexibility to even play gigs where you’d have to cover a wide range of musical styles while on stage. So for drummers who need an electronic kit for live performance, I believe that the Alesis Command is a near perfect fit. Now we’re headed into professionalism. And again we’re looking at one of Alesis’ electronic drums. 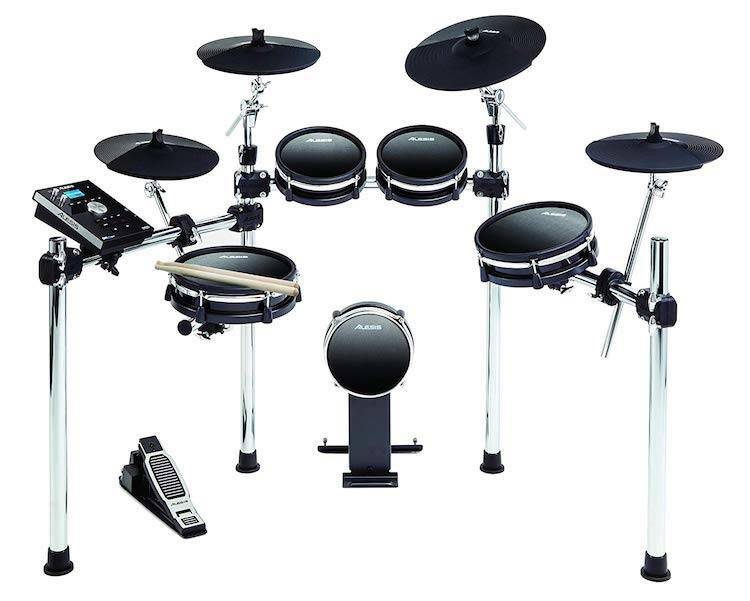 With the Alesis DM10 MKII Studio and Pro Electronic Drum Kits you’ll look like a professional and be able to create a drum sound that will match just about any style of music either in the studio or performing live. 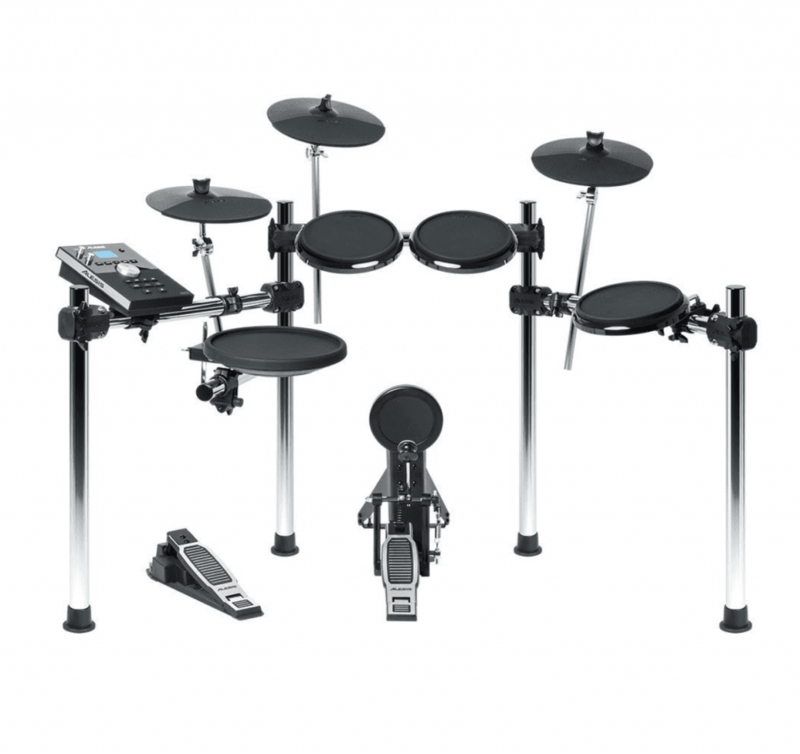 If you need to use your electronic kit to rehearse or practice in a small space where being quiet is paramount, the Alesis DM10 MKII Studio and Pro Electronic Drum Kits also fits the bill. Adjustable mesh heads on all toms, snare and kick drum and larger drum sizes all mounted on a sturdy chrome 4-legged frame pack a punch and the pricing will get your attention. The sound module gives you plenty of tools and flexibility right out of the box. 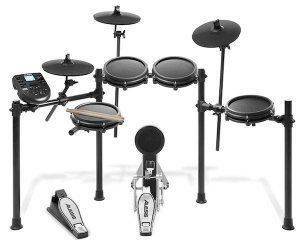 Before the MKII the Alesis DM10X was my best electronic drum set under 1000 dollars. Why I change this title to the MKII you ask? Well, read on here. The Roland TD-11K to my mind is the best electronic drum kit across all use cases. In the studio the TD-11K scores through Roland’s “superNATURAL” sound technology which will product various different sounds when hitting one and the same pad in a different way or at a different spot. On stage, the Roland TD-11K will look professional and the 25 preset kits will be more than enough. Plus: you can muffle and tune each pad or increase reverb and echo with just the push of a button. For more reasons why the Roland TD-11K is the best electronic kit if you want a bit of everything (practicing, playing live, recording), see my full TD-11K review. When Alesis launched the Strike Pro, most people assumed this simply couldn’t be a high-end kit at such an affordable price. But the Strike came, saw and succeeded. There simply is no other kit on the market that offers a similar range of sounds, a design as professional or sound modification options as intricate at such a low price. For this reason, the Alesis Strike is my best electronic drum set for recording at a fully professional level. The only issue really is the HiHat which you can read more about in my review below. For me, though, even this “issue” has never limited my joy in playing the Alesis Strike in any way. And you’ll have to pay thousands of dollars more to find a similar range of features when looking at another brand (see Roland TD-30KV below). So about this HiHat issue – and all other great things about the kit – see my full review of the Alesis Strike. The Roland TD-30KV is not available at the moment, so here is my recommended alternative. Customize and modify the settings to your heart’s content! I didn’t even consider this kit in the comparison table, because it would – in all fairness – just be unfair to the other e-drum kits presented here. After all, the Roland TD-30KV is more than three times as expensive as the Roland TD-11K and the price of the other kits in this review don’t even compare. It comes with Roland’s so-called “SuperNATURAL sounds” and “behavior modeling technology” which essentially means that no sound coming out of this kit is prerecorded. Yes, the kit does have sounds in its library (how else can it produce them), but each strike of yours will trigger the Roland TD-30KV’s module to synthesize an individual and unique sound each time. In other words, this e-kit produces sounds in just the way an acoustic drum set would. The Sound Module enables you to configure each and every aspect of your drum sound. Care to choose whether the kick should sound as if beaten with a wooden beater? Or do you prefer felt? The TD-30KV module gives you the power to switch with just the push of a button. So there’s really nothing negative to say about the Roland TD-30KV. Quite the opposite: it’s a stellar electronic drumset and will bring you as close to acoustic sets as possible while preserving all the advantages of an acoustic one. Only: it might not be for you. For the lots of room for customization that this kit brings with it, also mean that you need to spend a least a bit of time using those features. They are fairly easy to learn, but if you have absolutely don’t want to be concerned with tweaking the sound through your module – better save the money. Also, when a legend like Jim Keltner gets excited about using this MIDI electronic drum kit and the drum sounds that it makes, I’m all ears. So while the Roland TD-30KV is the most expensive kit in this review, it also is my best MIDI drum set. If you’re good with that, the Roland TD-30KV will take your breath away! Guaranteed! Wanting to modify your shell depth, microphone positon, muffling and a dozens of other parameters? 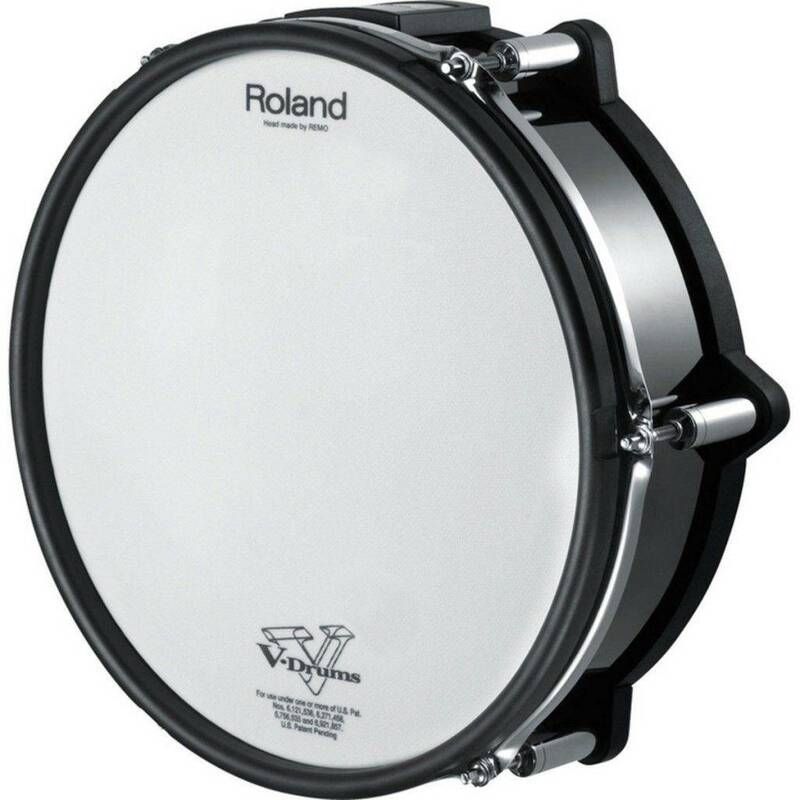 Discover how in my in-depth review of the Roland TD-30KV. 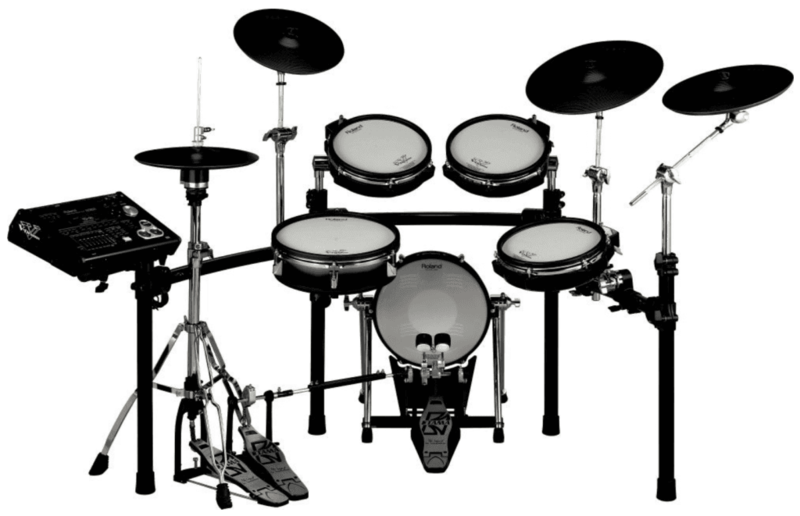 Now you know about the features of 7 very good electric drum sets. But what if you’re not sure which features you need – and which would be a waste of money? That’s where this buyer guide comes in. I’ll show you what you should look for in your e-kit – and what you can safely ignore. You value your money, right? So the first thing you should consider is this: what will you get for the price? 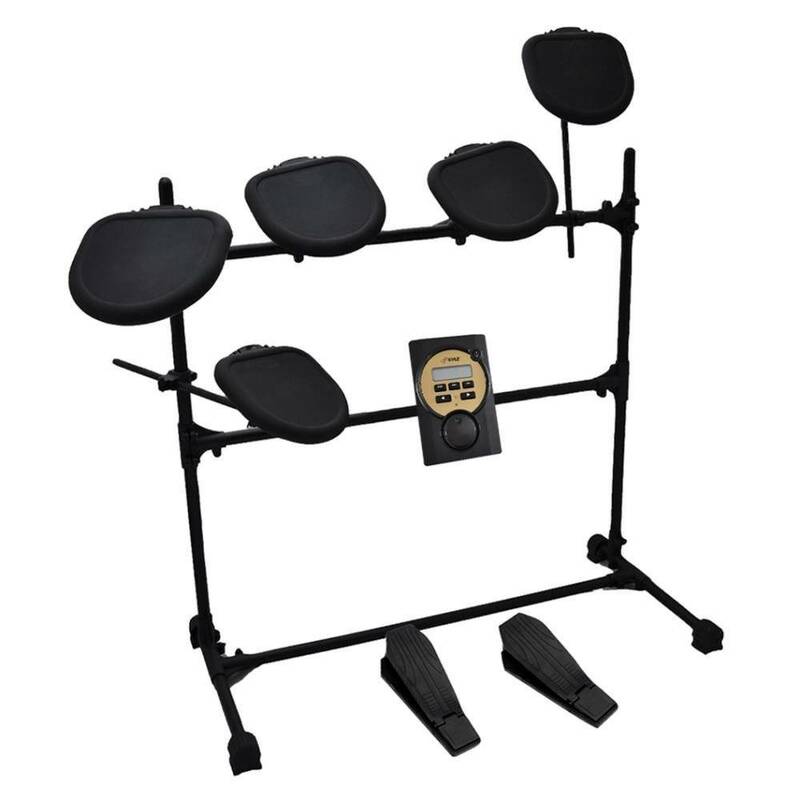 I’ve never seen an electronic drum set pack that doesn’t include the actual pads and the “rack” (the mounting system). But quite often the bass drum pedal is not included. And even more often there’s no drum throne and the kit doesn’t include drum sticks or headphones. So make sure you know what you get for your money – and what you have to pay for on top of the kit. Tip: Even if drum throne / sticks / headphones aren’t included, Amazon will often give you a discounted package deal. Just look at the “Frequently Bought Together” section right underneath the product picture on Amazon. it doesn’t have to be very good in every respect. Not only would you have to spend thousands of $ to get there (as you saw with the Roland TD-30KV above) – but you’d also perhaps not make use of all you paid for. So better determine whether you want to use your electric kit for practicing, playing live or home/studio recording. Do that now! This is paramount but often overlooked: an electronic drum set should be set up like a regular acoustic kit. Because if it doesn’t, you’ll store motions in your muscle memory that you would have to change once you sit down on an acoustic set again. Even if you’re looking for portable electric drums, you’d do yourself no favor going for one with the above setup. For yes, it would be easier to fit into a car or under a bed – but I think the un-learning aspect is much more important. I think you can afford to spend 10 more minutes disassembling a kit, but hardly anybody can afford to spend 2 months un-learning useless data in one’s muscle memory. …but the problem is: electronic kits are not completely silent! Yet, depending on their pads some are more silent than others. And hitting a rubber pad will produce peak volumes of about 70 decibels. That’s like hitting the pages of an open book with a stick. Not very loud, but potentially annoying if there’s a person in the same room or directly next door. Mylar is a material that’s used in real drum heads too. But of course, the mylar PADS won’t be as loud as real drums, because there’s no shell that amplifies the tone. Yet, hitting a mylar pad will again peak at around 70 decibels (think open book hit with a stick). Mesh heads finally are the most quiet option as the sound waves are dispersed on the woven mesh. Imagine the “noise” to be similar to hitting a sturdy cushion. It’s perhaps too loud to do when someone’s sleeping or watching TV right next to you. But usually, it won’t bother people next door. And the “feel” of the pads? If you want something that feels exactly like an acoustic drum set, buy an acoustic drum set. Don’t get me wrong: e-drum sets have become very advanced and the pads do mimic the feel of an acoustic drum set quite well (mylar and mesh better than rubber). But there will always be a slight difference. Emailing doesn’t feel exactly like writing a letter either, right? The upside is of course that electric drums can do lots of different things that acoustic drums can’t. They can help you practice effectively, change your drum set sound instantly on stage, record on a budget or make your drum set sound like a piano (see video below). This is the final cornerstone to watch out for in a practice kit: tools to help you make efficient progress. Because as a beginner, you’ll be fully occupied with trying to get that groove in front of you right. You simply won’t have enough concentration and objectivity left to listen and recognize all the details that aren’t spot-on yet. So it’s invaluable to be able to push a button, have whatever you’re working on recorded and give it a listen afterwards. This is the real deal for practicing the drums. Nothing will boost your motivation more than being able to jam along to your favorite track. So make sure the electronic drum set has a plug to connect your smartphone/iPhone or mp3-player. (Mostly the plug is called “Mix-In” and has a ⅛’’ jack). Some higher-priced electronic kits such as the Yamaha DTX450K or the Roland TD-11K have guided trainings built into the module. These programs would for instance play a groove for you to emulate and then drop the click for a few bars at some point. You’re supposed to play on until the click sets back in – at which point you’d know how well you’ve been playing in time. There are different exercises for different purposes of course, but the point is: it’s guided and it’s tracked. Both will help you make progress more easily and eventually maintain your motivation. Finally, if you’re a beginner and operating on a budget, electronic drum pads can be a good alternative to an electronic drum kit when starting out. Can you import sounds into the module? If so, that would make your sound range virtually limitless which is obviously a good thing. But it’s also expensive as only the higher-priced sets like the Alesis DM10 are able to import sounds. If the kit you’re looking at can’t import sounds, you should google for the manua. In there will be a list of the sounds in the kit. If you want to play Rock or Jazz you’ll find appropriate sounds in any kit – but higher-priced ones will have more. If you’re into Latin or even Electro, it depends on the individual set whether it has some at all. Does the kit have enough presets for your gig? A preset is a whole drum set compiled out of the individual sounds. Usually, that’s one sound for each pad, so 9 for a standard e-drum sets (3 tom, 1 snare pad, 1 kick, 1 Hi-Hat and 2 Cymbal sounds). The number of presets can range from 10 to 100 and there is also a variable number of kits to customize yourself from product to product. I recommend you think about how many songs you’re usually playing/going to play on a single gig and how often you want to change the sound of your kit. Depending on your music and the level of proficiency, this could be every single song, once per gig, or never. As for the sound quality of a kit, I can’t give any hard and fast rules, because taste is obviously subjective. The simple test would be to search for the electric kit you’re interested in on YouTube where you’ll usually find lots people playing this set for you. Just give it a listen and decide yourself. It’s scientifically proven that audiences will judge you by how you look on stage as well as by your skills. So better make sure that you’re really reaping the fruits of your practice by having a professionally-looking set. What this entails isn’t set in stone, but generally a kit that resembles a regular drum set will be familiar to an audience and thus look like it’s up there on stage for a reason. Finally, electronic kits are a great and very affordable way to professionally record music at home (or in the studio). And the only thing you really need to worry about for this purpose is if and how your electronic kit connects to a computer. Once that’s done, even sound quality and range don’t matter any more, because you’ll be able to modify them in any way you wish inside your music recording software. How Does an Electronic Drum Set Work With MIDI? Everything you need in order to use your electronic drums to a computer is a MIDI output at the back of your kit’s module. Once you’ve connected the module to your computer, your electronic drums act as a MIDI trigger. That means, each time you’re hitting any drum pad, a MIDI signal is sent to your computer. That signal doesn’t carry any sound information, which is actually a good thing. Because once you’ve opened your recording software (Audacity and Reaper are free; Ableton, GarageBand or Logic paid), you can match the signal with any sound in your library. So choose an electronic drum set that has a MIDI output and you’ll be recording in no time. 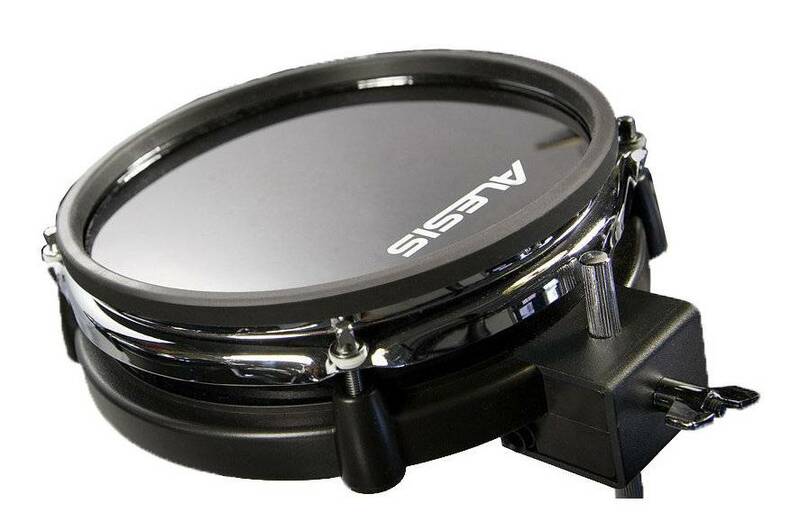 In my view, the Alesis DM6 is WAS the cheapest electronic drum set that’s actually useful. That is, until the Nitro (above) came along. The Nitro has more sounds, more functions in its module and looks more professional in my view. That’s why I don’t recommend the Alesis DM6 plain anymore. Not because it’s bad, but because the Nitro is even better. But I still have an in-depth review of the DM6 lying around. It covers all the tricky questions: from playing Rock Band for Playstation on it to connecting it to a computer. 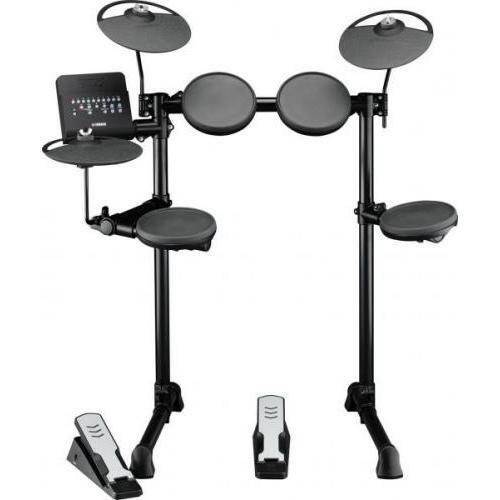 I hope I could convince you that choosing an electronic drum set isn’t that difficult once you know what to look for. I also hope you saw that an electronic drum kit isn’t just an acoustic set turned quieter, but that it can improve your practice, your stage performance or your recording – and even open up new dimensions to your creativity. If you’ve got a question about any of the e-drum sets reviewed here, I’ll gladly answer them in the comments. And I’d love to hear about your experiences with any of these kits! Thank you for this review. It helps me a lot in deciding on what e-drum kit should I buy. I have just one question regarding DM10 (x Mesh). You mentioned that this is the best drum set for recording, can this be also good for live performance? Can this be a good drum set for a church service? Once again thank you and have a great day ahead. yes, both the DM10 and the DM10X are very good for performing live as well. The huge variety of sounds have very good quality right out of the module and you can change your whole drum set sound via presets with the push of a button. It also has all the connections you need to plug into an amp, PA or whatever sound system you / your band use. And I think electronic drum sets are better for worship than acoustic ones, because you can modify the sound so easily and quickly and don’t have to deal with all the natural sustain produced by acoustic drum sets in churches. What specific band setting and amplification setup are we talking about? Thanks a lot, Dex. I highly appreciate it! Can I help you with anything drum set wise? My name is Ben. I’m seventy years old and have finally decided to live my dream of playing the drums. I have found your various reports to be highly informative and well worth reading as a novice. I especially appreciate your electronic drum set reviews as well as your review of Drumeo. I am currently enjoying drumming on a practice pad before I decide to actually purchase an electronic set. Found your recommendations of good value. When I buy an electronic set it will be shipped to me in Mauritius from the USA. I’m concerned about the compatibility of the electronic part of the set with the electrical system in Mauritius which is 220 volt. I believe different to that of the USA. I would greatly appreciate your comment and advice on this issue. Thank you in anticipation of your assistance. Looking forward to your comment. Great decision there. I believe you won’t regret giving the drums a chance! As for the voltage. The kits you find on Amazon US such as this – http://www.kickstartyourdrumming.com/alesis-nitro-review – are supposed to be used on 110-volt outlets. However, you can still easily use them if you intersperse a voltage converter like this. It will regulate the 220 volts coming out of your socket down to 110 and power your drum set just fine. Amazing work! Will buy according your intel! You answered almost everything that I had in mind. I can tell You’ve put a lot of effort in this piece so I will buy from your links. I’m a beginner, I need it for practicing and would like to be quieter… so, If you could choose an option for these variables what would you recommend? Thank you very much! I appreciate you going through the links! For practicing alone I’d say Alesis Nitro. For practicing + quiet though, I’d say Yamaha DTX450K, since its kick drum is quite a bit more silent and I personally find that the kick drum is the most annoying / noisy part, because you use it all the time and the vibrations travel so well through the floor (to the people living, possibly, underneath). Hi Yannick, how are you? I’ve been playing the drums for some years now in a municipal band and I’d like to start playing something different, something more dynamic. I feel like i’ve stucked in my level and i ‘d like to improve, although you have said that the yamaha is the best one for practicing im really intersted in the alesis forge. I think that its the best overall option for its price, do you agree? Its seems that the yamaha s and rolands of the same price are very simple, its like if you were paying for the brand only. In regards to this, is Alesis a good choice? Does it worth to buy a better device from a worse band? Or is it better to pay for a more basic instrument but a better brand? Well, i have some questions about edrums in general but specially about the forge kit. Are edrums sensitive enough to make a good roll? Does it rebounce propperly? Are the toms and snare drum too small in the forge kit? I have never tried a edrum and im very worried about the size compared to an acoustic. Your post really helped me, sorry for this huge text? , sorry for my english too. I can fully recommend the Alesis Forge in terms of quality (for the reasons above). It’s not only a practice kit but also good for playing live in my opinion. In that price range, I’d always go for the Forge. Finally: what do you mean by “are the toms / snare too small”? Too small for what? I’ve never had a problem with their size. Thanks for answering Yannick, I really appreciate the advice! Very helpful! My pleasure, Nacho! All the best for you too! Its a great inside information that you have shared here. Super efforts put in. I’m just a beginner on drums, starting to learn drumming. I have my eyes on Alesis Nitro Kit, but just a thought, if it does really matter if the sound travels thru floor of our apartment, like is it really annoying?? I plan to use a headphone. Also, is it possible to connect bluetooth headphones with this Nitro Kit?? And as u said, 40 presets, is that good enough to practice for a newbie?? Also is it possible for connect my iPhone with my music to this? And still listen thru my bluetooth headphones?? Bluetooth headphones: No, the Alesis Nitro doesn’t have a bluetooth connection. Would be a great add-on though. Connecting iPhone with music: For sure, you can just plug this into the module with a cable like this and get going. 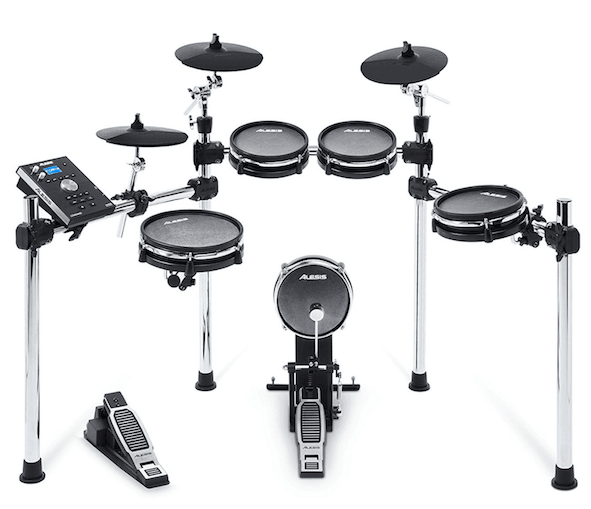 What do you think about the new Alesis Strike Pro kit?? I hear that the computer is slow with loading. And some hi hay problems. Did u tested it?? I’m really curious about this set. Thanks for your comment asking about the Alesis Strike Pro. I indeed have an article on this, and will add it to the best electronic drum set comparison during the next days. Oh man, what a great help that set of reviews is. Thanks a lot! That being said, doing a bit of research, Roland TD-1KV pops up frequently in the lists of great beginner sets, swapping first and second spot with Alesis Nitro. So I wonder, why did you skip it here? Is Nitro kit that much better, that we shouldn’t bother with Roland? If it was up to you, which one would you suggest? My pleasure, Woijciech! I say thank you for your kind words! The TD-1KV looks more like a toy than a proper electronic drum kit and I wouldn’t go on stage with it. And I’ve been on stage with the Nitro with full confidence multiple times. Another question for you or rather your opinion. I am new to the edrum world,but have been playing drums 30+ years on acoustic drums in multiple genres. I have done much research and reviewing on ekits with your reviews being most helpful and complete. One area that is mentioned on many threads and links is how long a new ekit will last. Of course I know this takes into account how heavy of use it gets and how it is cared for. I believe you have sold me on the Alesis Nitro ekit and it should serve me for my needs. So my question for you is: In your experience, how long has the Nitro and/or similar ekits lasted? Are there any parts that require replacement from just regular practice? I do plan on using it with a double pedal(a DW 5000), so more wear on the kick pad? Just wondering what I should expect for life of the kit. How long it lasts? Hard to say. I’ve played on this kit for about 6 years without having to replace any part. And I did use a kick pedal (DW 7000) too. I didn’t practice every day and I took care to use a pair of sticks I didn’t use anywhere else – but generally: these kits are built to last…for a long time! Thanks again Yannick for your prompt reply. Just wanted a ball park range of possibly lifespan. Not sure if you meant the Nitro when you said “six years”? Thought this ekit(the Nitro)was released in 2016? Anyway, you may have just been referring to a similar kit. Happy even this ballpark range helps! I was referring to the DM6 Nitro – meaning: I got the Alesis DM6 6 years ago and upgraded the module to Nitro last year. This didn’t change anything about the hardware though. And I figured you were asking mainly about hardware wear & tear?! Thank you for clarifying Yannick. I was simply wanting to know the lifespan of the ekit as a whole. As technology advances, I know modules will need updating just as you had mentioned in your response. Thanks, Thomas. I appreciate it! Hi Yannick, loved your reviews. I’m a new drummer and I’m looking for a kit. The Alesis Nitro looks appealing, but I’ve read some reviews that it’s a very quiet drum kit or that the cymbals barely make sound. How do you feel about this? I’m also looking for a longer lasting one, so if you recommend a more expensive one let me know. Thanks for your feedback and question! Could you point me to the reviews you’ve read or tell me what the exact issue was in these cases. For generally, the Nitro is as loud or quiet as any other drum set (and that means: as loud or quiet as you want it to be). The links are there in case you want to get a detailled picture of what caused these issues and how people were able to resolve them in all cases. Still: if you want a longer-lasting, more advanced kit, I strongly recommend the Alesis Forge. I’ve given you my reasons for doing so here. Thank you! The Forge/Command looks good. Will probably go with Command because I love the mesh heads. I’m guessing you’re able to buy more mesh heads to replace the rubber ones? I’d love to do that to upgrade after I can save some more money. The reviews I have referring to are the ones on Amazon’s page. Good choice: I like the Alesis Command a lot! And yes: you absolutely can replace the rubber with mesh heads. You can buy both the 8” and 10” on Amazon too. Hope that helps! Have fun with your kit! I would definitely recommend the Nitro in this case. I haven’t tried Digital Drums 420 yet, but it looks much more toyish than the Nitro and has 200+ sounds less. Of course that’s not required to play along to the kind of music you’ve mentioned, but certainly is the better long-term option (in case you want to take your kit on stage someday, or record a song you’re playing to, or… or…). I know it costs a bit more (70 Pounds currently) but I think that would be money well-spent! My son is turning 6 and has been playing a kid-sized acoustic kit since he was 3. He has now outgrown it and is getting pretty good, so I want to upgrade. We have limited space and also close-by neighbours, so after careful consideration, I have decided that an e-drum is the way to go. I want to get him a kit that he can grow into and use for a number of years, but still deliver good quality sound at an affordable price. I am thinking of the alesis Nitro. Is this a good choice, given the considerations I have mentioned? I think it is. I still use the Alesis for practicing and I’ve also played acoustic sets at smaller venues with it. And I’ve been drumming for 20 years now. So I see no reason that the Alesis Nitro shouldn’t be the first adult drum kit for your son. Great article, a good read and very informative. I would like to know your opinion of the Pearl E-Pro Export as I believe it’s based on the DM-10 module but is on a full size kit. I’m intending on using it for practice as I’m just learning the drums and I find the size and position of the pads on my Roland HD-1 too cramped and too different from a full acoustic kit. I’m getting it discounted to it’s closer to the price of a Roland TD-11 which I think is reasonable. I am going to play test it first, but do you think it’s a good choice? …and if you have played a drum-kit first-hand, you’re more than welcome to write for KickstartYourDrumming too. Big thanks to Tony anyway! I’m a beginner. I don’t have the space for a ekit. What is your opinion on the roll up ekits? Any recommendations is appreciated. Well, if you truly want a roll up electronic kit, I’ve heard good things about the this one (but I have never played it myself). That said, if you really want to learn the drums, I think those pads are only of limited use. Yes, you could practice hand technique – but you’d not be able to build up the muscle memory necessary to hit the relevant drums / cymbals on a proper electronic or acoustic kit. Just compare the roll up with this electronic kit and see how different their setup is. So if you’re really short on space, but want to learn the drums in such a way that you can sit down behind a proper kit soon, I recommend to start like this (which doesn’t cost a dime moreover). Great breakdown of these kits! I’m wondering how the Alesis DM10x performs when recording into a DAW, preferably as MIDI, as I have a few drum libraries that I’d like to use. I’d like a kit that feels comfortable when I play it (I generally gravitate towards metal and rock) and records smoothly. Thanks for the quick and helpful response, Yannick! I checked out the video, and the set sounds great with Addictive Drums, especially in terms of dynamics. I’ve been using the GetGood drums library recently, and I’m itching to use it to record live. And yes, I did mention the DM10x because I’d rather play on something that feels a little more natural—especially since I intend to use it to finally learn how to play double bass! Thanks for the compliments on Static Friend! I love recording my own music, and I’ve always felt guilty about not being able to drum live on any of my home recordings…hence the desire to buy an electronic kit. 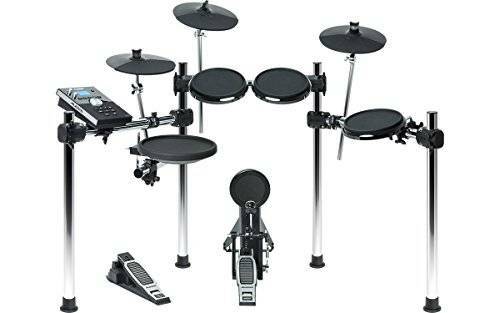 Hi Yannick, wondered if you could give your impressions of the Sonic Drive Deluxe 5 Piece Digital Electronic Drum Kit they seem to be the same as the Lorden kits. Thanks, Ron. It seems the Sonic Drive Deluxe is only sold in Australia. It looks like a good deal with mesh heads for about $999 – but unfortunately I never even seen this kit on a stage, so I can’t judge its quality. Is going to a local store and trying it out an option? Sorry I can’t be of more help here! Thanks Yannick, wish it were as simple as visiting the local music shop to demo the Sonic Drive. I live on Russell Island which is just off the SE Queensland AU coast, all the Sonic Drive kits that I’ve seen are sold online. I originally went looking for the Alesis Nitro kit after reading and watching your reviews, stumbled across the Sonic Drive kits in the process, which are more expensive but look like a good deal to me also. I’ve played drums on and off through the years but it has always been secondary due to work commitments. Recently bought a practice pad and rudimentary sticks and have started back into drums, now in earnest as I’m free of the everyday work routine. Thanks again for your input. I see. Still, I can’t really say much about the Sonic Drive. Have you thought about the Alesis DM10(X)? It’s similar in terms of price point and setup and I like it a lot. Or you practice like this. It works wonders! 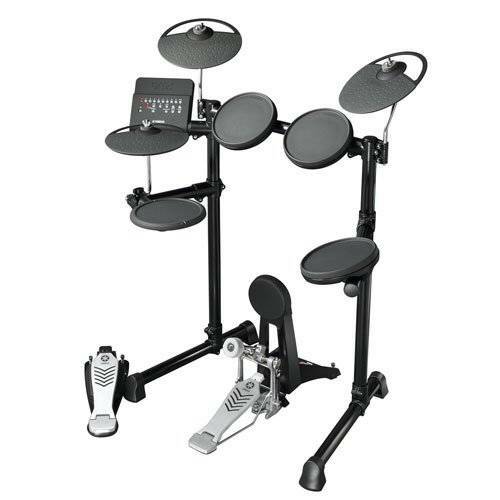 The lowest delivered price that I could find in Australia for the DM-10 is around A$1,400.00 as opposed to the Sonic Drive at the following store: ( https://www.bavasmusic.com.au/sonic-drive-deluxe-5-piece-digital-electronic-drum ) which can be delivered for around $870.00 give or take. I’ve no doubt about the quality of the Alesis kits, I see nothing but good reviews on the product. I set out to spend A$600.00 on the Nitro, but my budget blows out looking at various other kits (I’m sure you can relate) I’d kill for the Strike Pro Kit. I doubt at this stage that I’d ever be playing again in a band, but I’d still be using my eventual kit as well as my practice pad kit on a regular basis. I like the setup of the Sonic Drive because of the true hi hat stand and bass drum not to mention the mesh pads, so the price has influenced me a good deal. 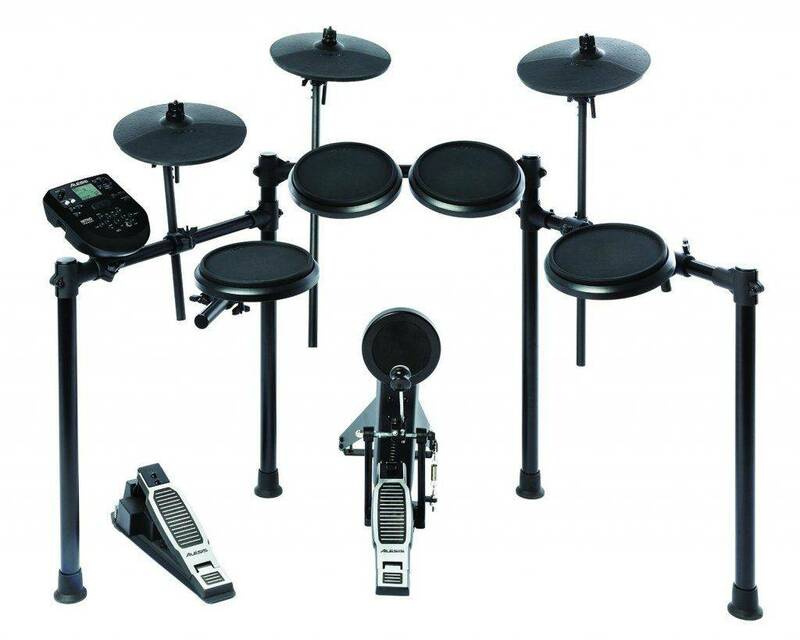 I’ve also looked at the Lorden kits in this store: ( https://www.musocity.com.au/products/lorden-deluxe-5-piece-digital-electronic-drum-kit?variant=28363221073 ) The drum module is EDS-908 which is the same on the Sonic Drive kit, and the mesh pads (magnified view) also look the same, and as they say: “If it walks like a Duck” I’m sure you know the rest. More than likely I won’t buy for another month or two, and I’ve also read your methods of playing without a drum kit. Fortunately I already have a practice pad kit minus the foot pedals, so I’ve plenty to keep me busy until crunch time. I see. So take your time to decide. Would be interested to hear from you again once you’ve bought a kit. Simply let me know here or email me. Will keep you informed Yannick, I’m getting a little impatient at the moment, my index finger is itching to click the buy now button. Thank you for this excellent review of several products. It was very helpful. However I do have a question. I have a seven year old who has been mimicking drummers and watching videos since he was 3 years old. He got a chance to sit down and play on a set of electronic drums last week ( first time ever playing real drums ). He lit up like a Christmas tree… and he was actually pretty decent. His music teacher thought he had played before. We want to encourage him but I live in an apartment building. Ive looked at a few beginner sets between 300-600 but I am unsure whats is best for a seven year old to begin to learn and play on. Awesome – I’m really happy your son liked it and showed talent. That’s great! How tall is your son? If he’s below 5ft, I’d recommend you choose from here. If he’s above 5ft or quickly approaching that site, I’d say you choose from amongst the adult beginner kits. Or were you thinking about an electronic kit for him? Thanks for your response. He is under 5ft tall. We were considering an electronic drum set because he can just play with the headphones. I think we are considering between The Alesis Nitro and the Yamaha DTX400K. We are leaning toward the Yamaha because of the Kick pedal being more quiet ( we have downstairs neighbors). He played on an Alesis system which his music teacher recommends. Our biggest concern is getting something that works well. We dont want to buy something that isnt good and discourages him from playing and learning. Sure, Shane. The Yamaha DTX400K is a very good beginner kit. Your thought about the neighbors and the silent kick makes sense and there’s plenty of room with the DTX400 to lower the pads, so you’re son can reach everything comfortably and grow with it too. Had a quick question about how to best clean or dust the Alesis Nitro kit. Thought about windex and a soft cloth? Awesome that you like the Nitro! I always clean it with a standard cleaning cloth that’s a little wet. Which mesh snare pad your looking at specifically? Generally they should work, but there might be exceptions. Just tell me which one you’re looking to buy and I can answer this conclusively. Which kit do you think is the easiest to setup and break down? This is a big deal for live performance. They advertise the TD 4k as portable but the video roland puts out doesn’t even make it look quick and easy. Easiest is hard to say – but I think the Alesis Nitro is easy (and quick) enough to set up. Plus it’s the best budget electronic drum kit on the market in my opinion. And what do You think about Behringer XD80USB? All drum pads are two-zones, both cymbals are two-zones plus chokable, hi-hat closed,half-open and open. All of that in the same price, as Alesis Nitro. Glad you asked 😀 See my answer here. Love this article…helped me answer several questions. I am still wondering about 2 other sets. Do you have opinions on the Behringer XD80USB or the Simmons SD50? Thank you Arthur! I appreciate it! This is such a useful article! Thank you! I have a tall 8 year old who has played the drums this year and found his calling 😉 he practices until he has blisters on his hands and it is very loud for the rest of us! We are now looking for an electric kit for him. Neighbours are not an issue and I’m not too worried about how much noise it makes (as long as it is quieter than what he has now!). He has lessons every week and in between he teaches himself the songs he likes off of you tube and similar. We are keen to not spend heaps but want to get him a better than average kit that will last him a few years. Ideas on the best kit for a kid who is keen to learn all he can about drums? I’m happy your son is so enthusiastic about drumming. I started at the age of 8 and drumming has enriched my life so much since then! As for the kit, I believe that this is a very good first choice, since he gets a quality kit with many functionalities for the price. Plus: he can grow with it. Thanks a lot Yannick! Do you have any links for Australian sites? Or sites that shop to Australia? Would like for you to get some benefit for all the work you do here! That’s very thoughtful, Brooke, but unfortunately I’m not affiliated with any drum gear retailers in Australia. The benefit would be you having found the right drum kit for your needs then. What would you recommend for a child’s starter kit. My son is 9 and this will be his first drum kit. I want to go electronic to keep the noise down! As a first kit, I’d recommend the Alesis Nitro. It provided by far the best value for the money and you can see what it can do specifically here. Let me know in case you have any more questions. I was thinking of buying a used alesis dm 5 pro kit. Is it better than alesis nitro? The Alesis DM5 is an old module and drum set and this means that both the range and quality of the sounds would be inferior to what’s inside the Nitro module. The same goes for the hardware. The only “edge” of the DM5 over the Nitro I can see is that it comes with a module with 12 trigger inputs, while the Nitro has only 9. That means, you could potentially add more pads to the set. But since the sound quality would still be inferior, I’d say you’d get better value out of the Alesis Nitro (unless the DM5 would cost you less thhan $100 or so). Actually the alesis nitro kit cost $540 in India. Is it worth that much amount of money? Also, will Roland pads and cymbals work good with the kit? Hm, I see that all electronic drum kits are a good bit more expensive in India (I only checked Amazon). Nonetheless, I don’t see many convincing alternatives there. Only: at the moment you could go with the Behringer, which normally is more expensive than the Nitro in India but currently there is a discount on it making it slightly cheaper. In terms of pads and cymbals: I would have to know the particular pad you’re talking about to give you a useful answer here. In any case I wouldn’t be able to guarantee it though. Sorry for being of such limited help her. Hope it gets you at least 1 step further! Hi Yannick. Thanks for the comprehensive reviews, they’ve been of quite some use in my quest for a drum kit. I’ve decided to fulfill my dream of getting a drum kit. For the usual reasons (noise mainly) it’s gonna be an e drum kit. I’ve had limited experience in the past (some lessons, some spells of jamming with a band) with acoustic drums, though it’s been some years since that, and I’d describe myself as halfway between beginner and intermediate. My plan is to learn proper techniques and have fun with it (no live playing, no serious recording) and I’d like a kit on which I can use the limited experience I have with a-kits. I like the TD11KV, but the real hi-hats and the module on the TD25K has got me thinking over and over. The TD25 is probably more than I’d be willing to spend, but I’d consider it if it’s worth the step-up in money. Does the real hi-hats make a real difference compared to the 11’s controller? Or would I be comfortable as a former acoustic set user with the controller on the 11? Is the positional sensing on the 25 worth the extra money or would the 11’s module be just fine for my experience. Will I grow out of it quickly or otherwise miss that feature? I’m also willing to accept another suggestion regarding the kit (I considered Yamaha’s 532K as an option too). I highly appreciate your help! Congrats to the decision! I’m certain you won’t regret it. In terms of the kits, I think you would be comfortable with both the TD-11 hihat as well as with the module as long as you’re mainly looking to practice, have fun at home and play on stage with this kit. I did all those things with the TD-11K for years just fine (and I had been drumming for about 12 years at that stage). Yet, if you’re set on getting a few fully professional features, check out the Alesis Strike (Pro). It’s way cheaper than the TD-25K and my current favorite among the high-priced kits. I am new to drumming and am looking for a first drum kit. Would you advice an electronic drum kit or an accoustic drumkit with mesh drumheads (and mute cymbals)? If you don’t have to worry about neighbors complaining about the noise when practicing, I recommend you go for an acoustic kit. And you can find my comparison of my favorites beginner models here. If you want to practice more quietly, I recommend you pick an electronic kit from the ones above. For you as a beginner, I can’t recommend the Alesis Nitro enough – for both its price and the value it delivers. I do worry about the neighbours so that is why I thought of changing the standard drum heads with mesh ones (like Remo silentstroke) and the cymbals with Zildjian L80 Low Volume ones. Do have any experience with those drumheads and cymbals? So my question really was: can you mute an acoustic drumkit and practice without disturbing the neighbours? Well, Tom, you can’t literally mute any drum kit – be it electronic or acoustic. If you go with an acoustic kit with rubber pads, hitting those would be somewhat as loud as hitting the pages of an open book with a stick. If you go with an electronic kit with mesh heads, hitting those would produce about the amount of “noise” that hitting a sturdy cushion with a stick produces. The same goes for the Remo Silentstrokes since they are made of mesh too. As for the Zildjian low volume cymbals: I haven’t tried them, so I don’t know how “quiet” they really are. They get good reviews on Amazon though (although some of them are seem to be faked). Thanks, that does help a lot. Happy I could help, Tom! Great article. I did want your opinion on one thing though. I have limited space and small children in my house and would most likely want a kit that I can tear down and pack up quickly on a daily basis. Or a kit that folds up small enough to hide in a corner somewhere if that makes sense. Is there a kit that you would recommend with this in mind? Thanks! Makes absolute sense – I’ve been there too (without the kids yet though). My answer depends on how / where you want to store it. If you want to push it into a corner (i.e. in a 90 degree angle), then I’d recommend the Alesis Nitro, since you could simply swing back the outer right pole and would have a somewhat long but flat thing to kit to push against the 2 walls beside the corner. If you want to push it flat onto 1 wall, I’d recommend the Yamaha DTX450K. That kit is more straight than V-shaped (most other kits are like that) and you would only have to adjust the feet, so you can push the kit fairly close against the wall. Hope that is what you meant! A great article and very helpful. I am a total beginner, I play guitar and bass and now want to get into drumming. What do you think I should go for out of the Alesis Nitro or the Yamaha DTX400K or Roland TD1K. They are all around £325-360. Does the Alesis have tools like the Yamaha to practice and get in time? The Yamaha DTX400K would be my choice (if I were you) if you need a very quiet electronic drum kit. The DTX400 has the silent kick pedal, so one of the major sources of noise will be taken care of. At the same time, though, you’ll not have a regular bass drum beater attached to the pedal, so you might have to un-/re-learn certain motions when switching to an acoustic kit later on. If you can accomodate a regularly “loud” electronic kit (we’re talking about the same as hitting the pages of an open book with a stick) – I’d definitely recommend the Alesis Nitro over the TD-1K and DTX400K. It’s cheaper and great value for the money all around in my opinion. Hi! I went with the Roland TD11K in the end as the shop had £200 off plus I traded in an old guitar. I tried the Nitro but the build quality wasn’t as good… plus the assistant wasn’t that hot on it. Thanks for the article and advice! Thanks for the update, James! I wish you lots of fun with the new kit! Since it’s only for practicing I’d go with the Alesis Nitro. Yes, the DXT450K has various learning functionalities and they are nice to have but not essential. A built-in metronome and the ability to plug in your own music to drum along to are essentials – and the Alesis offers them. So for practicing I think you get a far better value for the price with the Alesis Nitro. Ok, thanks for the invaluable advice Yannick! I’m just wondering if you know what the cheapest (would likely be buying used) electric kit which has cymbal muting by hand, half hi-hat, and preferably mesh heads? I was really close to getting an Aleis DM6 used, but the lack of cymbal muting, and half hi-hat sort of put me off it for serious recording. Thanks for your question and sorry of answering it only now. You can get cymbal muting (on the crash) and half open hi-hat sounds with the Alesis Nitro – my favorite beginner drum kit with an amazing price / performance ratio. Mesh heads do raise the price bar quite a bit and the “cheapest” kit I know of that comes with mesh heads all around is the Alesis DM10 MKII. I haven’t put up a review of this kit, but it’s basically an updated version of the Alesis DM10X – and I do have a review of this kit over here. I have a 12 year old son who has been playing percussion for a year now. His instructor wants him to learn set so he can try out for Jazz Band next year. I am looking for something that would translate well between practicing at home and transitioning to an acoustic set at his school. What would you recommend? For transitioning between electronic and acoustic sets it’s important they have a similar setup. This is the case for all sets I’ve written about in this article, but the best bang for a junior drummer is, in my opinion, the Alesis Nitro. Glad to hear that. Thanks, Joel! Am I right in assuming that you’re looking to add a drum pad to the Medeli? Then I’d need to know which one in particular to help you out in terms of compatibility. Do you know if it’s possible to add a dual-zone cymbal (e.g. CY-5/8) to the Alesis Nitro module to use as ride with drum software? As in, so that it registers both zones properly. Yes you can do that (note: when asking Alesis support, they will say no, but it has worked fine for me and other users too). As a Ride Cymbal, though, this would be the appropriate pad – the CY-5 is a HiHat and the CY-8 a Crash Cymbal. Thank you for your answer. Will it be a problem that those cymbals are also chokable? Does it use one of the zones to choke them, or do they work well as two zones plus choke? No, Mitty, you should have 2 zones plus being able to choke alright! Does adding external sounds via MIDI achieve the same thing as adding them via USB stick, or am I missing something here? Seems like they both have the same objective – making your drums sound different. If this is true, then not being able to add samples via USB on kits like the Alesis Nitro seems inconsequential, since you can always add them via a MIDI. Also, thanks for this great introduction to electronic kits. I am a total beginner and I learned a lot from this. Actually, you cannot add sounds into the module via USB. You can only change them on your computer while it’s connected to your drum kit. So adding new sounds via USB does serve a different purpose. I am in between two drum set : yamaha dtx532k vs roland td11kv..almost same price…it is for my son, home play and practicing.. I personally prefer the Roland TD 11K for the reasons explained here. Thanks Yannick..Do you think this hi-hat inferiority vs yamaha dtx532k is an issue for Rolan td 11kv?.. Commentary 1- The DTX532K has one upgrades that TD-11K does not. there’s the vertical motion hi-hats which look and feel WAY more realistic than the remote pedals we’ve seen thus far in the earlier kits. Commentary 2 : Con for Roland TD 11 series is No proper hi-hat stand..DTX 532 kit comes with a proper hi-hat stand. This is a breath of fresh air in electronic drums as most don’t have this feature. Commentary 3: Pros: DTX 532 Hi-Hat: has it’s own stand, real HH feeling. Now I understand that by “inferior” you meant the difference between having a hihat stand or not. Well, that makes the Roland TD-11K different from a real drum kit, but the hihat isn’t inferior in quality at all. In fact, I prefer the Roland precisely because of the sounds of its pads. And sorry for the confusion I caused! I thoroughly enjoyed reading your review, very well written and covered everything that I needed to know. I have recently began learning drums, and I have a lesson once a week. I’m looking at getting an electronic kit to have in my room so I can practice inbetween lessons. My two picks at the moment are the Yamaha DTX450 and the Alesis Nitro. Could you shed some light on which you think would be better suited ? Noise isn’t too much of an issue (obviously going electronic to not annoy family/neighbours) but I may eventually end up playing in a band so I’d like to get a kit that I can learn to play properly on. Is it advantageous to have chokable symbols ? And different zones on the pads ? Thanks for your encouraging feedback! I appreciate it! I’d recommend chokable cymbals, because they emulate how an acoustic drum set would work and I guess you’ll get to play one someday. 2 zones on the pads are nice to have for the same reason. That being said, you won’t get 2 zones on all pads for the price range you’re looking at – and I also think it’s not crucial for a beginner. Both kits you mentioned certainly are good candidates, but I think the Alesis Nitro gives you a better value for the your money. For all the reasons why I think this is so, check out my review of the Nitro. I’ve been on this page a good few times reading and re-reading the info trying to make a decision, I just noticed you’ve been keep up with replies after all this time, that’s amazing! So I hope you see this. I played acoustic (I’m basic, bot nut a novice) but had to stop after moving into a flat. I’ve been contemplating an Alesis Nitro, but I’ve come across the Millenium range at Thomann. Apparently the kit parts are sourced from Medelli who provide parts for Alesis (word of mouth, I’ve not been able to verify). So I know it’s off point, but do you have any experience of Millenium kits? (I’m thinking about the MPS-500) and if not, can you advise if there is a lot of movement on the Alesis Nitro e.g. pads slipping down then hit? Thanks for your kind words. The MPS-500 does look good and I’ve been asked about it before, but I haven’t been able to test it yet, so I can’t say much else about it – sorry! Can’t you buy it, test it and send it back in case? Great article. I am curious though on where you would place the new Alesis Surge. All mesh pads for $499. I understand the Roland TD11k would still be superior but would the Alesis Surge be a better bang for the buck? Thanks for your question. I’m actually in the process of finishing up my review on the Alesis Surge. From what I can tell so far, its module is as great as that of the Alesis Nitro – and its mesh heads all around are unheard of at that price. Not even the Roland TD-11K has mesh heads all around despite being much, much more expensive. So I highly recommend the Surge. What do u think abt the Carlsbro CSD500 kit? I’m confused between Alesis Nitro and this. While I initially decided to buy the Nitro, introduction of this new kit has confused me. The Nitro is definitely worth the price and has proved its capability. But belongs to the ‘rubber pads’ category. For a little extra money, CSD500 is providing all MESH pads and is being touted as the cheapest mesh drum kit. But it’s a very new kit, not much is known about it and I don’t know how good its drum module is. We know Nitro has a decent drum module. Kindly help me with my query. No, I haven’t had a chance to test the Carlsbro CSD500 – sorry. It doesn’t look to bad, but that’s about all I can say. I’m curious though: I only see it offered for $700+. Where can you get it for “a little more money” than the Nitro. That seems like a VERY good deal. Hello Yannick. Thanks so much for this very helpful review. I was an intermediate-level drummer in my youth; put it aside for 30 years; and now hope to play again just for my own pleasure (mostly to tracks, perhaps sometimes with friends, but never live). I want good value for my $$ but am not looking to spend an arm and a leg. Based on reading your comprehensive reviews, I’m inclined toward either the Alesis Nitro or Alesis Surge. (1) Would you have a strong recommendation? (2) Volume matters — do either of them have an option for mesh, and does that add significantly to the price? (3) And for such “practice models,” do you have (or can you point me to) a comprehensive list of equipment (such as stool, headphones, pedals) that do not come with the basic set and therefore have to be purchased separately? Thanks again for your very helpful (and friendly!) advice to many on this website. Thanks for your question and sorry about the delay in answering it! It’s great you’re getting back into drumming! 1. + 2.: The Alesis Surge has mesh pads all around and is very, very cheap for that. Yes, the Alesis Nitro is cheaper, but that would be comparing apples with oranges. Usually kits with mesh all around cost $700+. 3.: Both kits include everything you see on the picture if you go through the links above – so the only thing you need is a sound output device. Here it’s up to you whether you want to go for a drum amp or headphones. is NUX DM2x okay because most of alesis in store was sold out but I will try my best patience to wait for the next supply of either alesis nitro or forge kit I was a beginner and wanted this as a gift for my 7 yrs old daughter this edrum will definitely use in my baby first year birthday. Thanks for your feedback and your question! I think the Alesis Nitro would make a very good choice for your daughter. However, I’m not sure what you mean by “NUM DM2x”? Can you clarify please? In any case, the Alesis Nitro is in stock on Amazon US right now. First off, may I say that yours are by far the most informative and helpful articles and reviews of electronic drums that I have been able to find. Thank you for all your work and testing and for sharing all your opinions! I am planning to buy electronic drums and I am currently leaning towards the new Alesis Surge with the mesh pads. I do see that there is a Simmons set (SD550) with mesh pads also, and I’m wondering if you have an opinion on which is better for a true rank beginner. I would be looking for good sound and good features but also I’d like to have the best training/learning I can find as well. You mention that Yamaha and Roland have good training but do the others at least come close? In terms of sound, I would say half-open hi hat would be somewhat important and probably multiple zone snare but multi zone toms is probably not that critical, do you agree? Yes, I think multi zone tom pads are rather unimportant. As for the kit comparison, I do think that the Simmons SD550 is decent, but like the overall quality and build of the Surge more. That said, I think you shouldn’t focus on the learning tools all that much. They are certainly nice to have, but won’t substitute a systematic drumming curriculum (for example this one). So, have you had a look at the all new Alesis Nitro mesh kit? It’s cheaper than both the Surge and the SD550 and the Nitro itself is one of my absolute favorites for the reasons explained here. I have one question, I’m buying a set for my kids to practice and want to follow your advice with Alesis Nitro. I’ve found that they sell both the rubber and the mesh version, the latter being just a little more expensive. A part from being less noisy, is there any advantage or disadvantage with the mesh? I’m inclined towards the mesh but not completely sure. The mesh version of the Nitro is all new, so I haven’t yet included it in the review (but will do as soon as I return from holidays). Reduced noise is the primary benefit of the mesh version, but your kids would also get a slightly more realistic feel and therefore be slightly more comfortable switching between the Alesis Nitro mesh kit and an acoustic one. The feel aspect is not a world of a difference, but I’d go for the mesh version at the current small price difference. But I think something very important should be added for live : many audio outputs are needed (at leats 4, 6 better), to send the sound of individual instruments to the mixing deck. Unfortunately only expensive kits have such outputs. That’s a good point! If someone’s looking for a live kit that can send the sound of individual drums to the mixing deck, he / she needs to go with the Alesis Strike (or more expensive). Still, most people reading this article are, I think, looking for a kit to practice on or play live in small venues (where intricate mixing is not necessary most of the time). I am looking at the Nitro Mesh for my first e-drum kit (actually my very first drum kit). However, I do want to use my double bass pedal on it. You say in you review of the Nitro (non-mesh) that it can be used with a double bassdrum pedal, but you don’t mention that in the piece about the Mesh version (even though the hardware is supposedly the same). On the website I want to purchase it (bax shop) they specifically mention that it cannot be used with a double bassdrum pedal, but in the promotional video you post, the guy mentions that it can accomodate “any double bassdrum pedal of your choice” (around 1:40). Which is it? Can you help me? Thanks in advance! I do know for a fact that both Alesis Nitro versions (mesh and non-mesh) can be played with a double bass pedal. I’m not sure why this particular shop says it doesn’t work. There’s no indication of this on Alesis’s official product website. Your reviews are easy to understand and very helpful. I was looking at the Yamaha as we don’t have much space but the limitation of the choke put me off. Please have you had a chance to test drive the new Roland TD-1DM and the TD1KPX and TD1KPX2? I am seriously considering one of these three for my son’s big 16th birthday/Christmas gift for this birthday next month. Thanks very much for encouraging feedback! I haven’t tested the Roland TD-1KPX(2) yet, but I’m not entirely fond of them, because the triangular rack causes the setup to be somewhat different from acoustic drums which your son might want to swap too without friction later on. Is there a particular feature that you’re after? Is it the mesh heads? If so, have you checked out the Nitro Mesh? I fully recommend this (and play it myself). Hi. Many thanks for your response. The Alesis Nitro would have been the best all round cost, mesh, kick-pedal-included deal but its big for my small apartment. 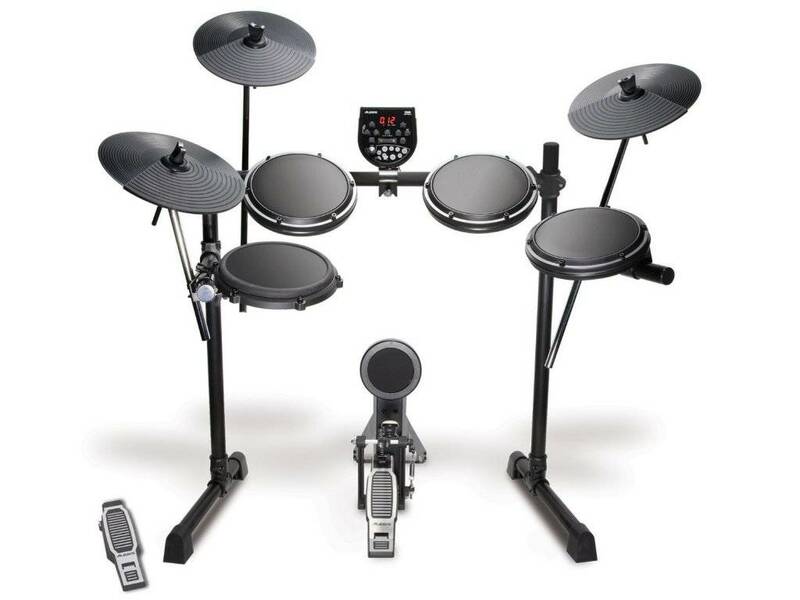 The Yamaha DTX450K came tops (even without the mesh tops) because of its size, cost and option of folding the arms out of the way after playing. Then shopping online, I noticed some stores in the UK have dropped the DTX450K and now stock the DTX402K series instead. So I’m looking at the DTX432K and DTX452K. 1 – Yamaha DTX432K and DTX452K, which one is the good enough substitute if the DTX450K is being phased out? 2- Is the above order of preference correct for a fast learner to grow with, as I’m prepared to wait till we can afford a good kit to use for a couple of years. Also, for transition as he wants to play acoustics at school. Thank you for sharing your love of drumming through the detailed information you provide here. Thanks for your questions and your detailed observations! 1.) As far as I’ve heard and seen, both kits are the same in hardware, the only difference being that the DTX452K has a about 150 more sounds inside the module – and that wouldn’t matter very much to me. Yet, in terms of space, both kits are bulkier than the DTX450K, since they come with 4 poles that the DTX450K doesn’t have. SO why do you not go for the DTX450K? Online it should still be available somewhere. 2.) If growing with a kit (i.e. keeping it for a long time) is your goal, I would go for any kit on your list except the Roland TD-1 – this is more a beginners kit only to me. Yet, you might have gotten out of the article that I’m a fan of Alesis and their great bang for your buck kits – so do consider their kits also. According to what you say, I think this one would be a good candidate. Thank you so much! All the best. My pleasure. And all the best for you too! Which would be the better option for a beginner? New Alesis Surge or Used Roland TD-11K for $200 more. If the TD-11K is in really good shape, that would make for a really good deal. At the same time, it really depends on your needs. If you were looking to use this as a practice kit primarily, I’d go with the Surge for sure and save even the $200 dollars (despite the good deal). So the crucial question here is: what do you want to use the drum kit for? Thanks, Sylvester. I appreciate your kind words! Hopefully, someday, using your link, I will purchase an Alesis and learn to play the Drums. My first hyper-ambitious Target is: Jeff Porcaro’s – Rosanna – from TOTO and many others after that. Thank you very much, Sylvester! Rosanna is a very ambitious goal indeed – but it’s certainly worth the ride I think. My boyfriend loves to play the drums, but unfortunately doesn’t have his own set. He usually travels to his parents house in order to play his father’s acoustic drum set. I have thought about getting him an electric drum set for Christmas and am totally lost! I’d love to surprise him… it just seems like most things are based on preference. Do you have any suggestions for an e-drum set that most people would like? Ideally, I’d like to spend around $1,000. Thanks so much for your post! It explained a lot of different elements to me. Thanks very much for your question and great you want to surprise him with a drum set. That’s a generous present and I would be absolutely amazed! That said, I don’t think you need to spend that much. 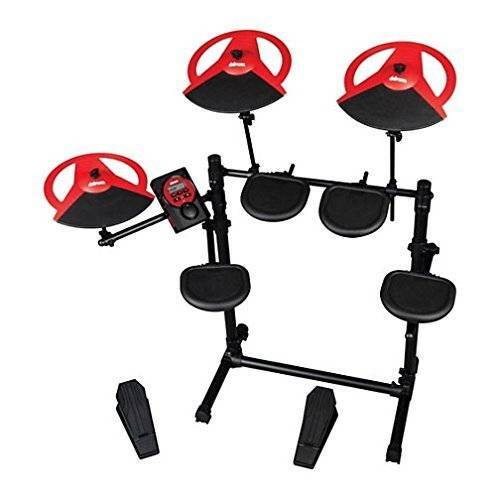 Instead, this kit is something that I as well as most of my drummer friends love (and it currently is the best-selling electronic drum set on Amazon). So I really recommend you check out that one.